Greeting card sentiments can add a special personal touch to a handmade card. Finding the right sentiment for a greeting card, however, can sometimes be difficult! We have a growing list of greeting card sentiment ideas for every occasion. Greeting card sentiments can also act as inspiration for greeting card design and this can be a great way to get ideas for new and different greeting card designs. There are many different ways that you can add greetings and sentiments to a handmade greeting card. There are a number of techniques that you could use in addition to rubber stamping a greeting card sentiment. 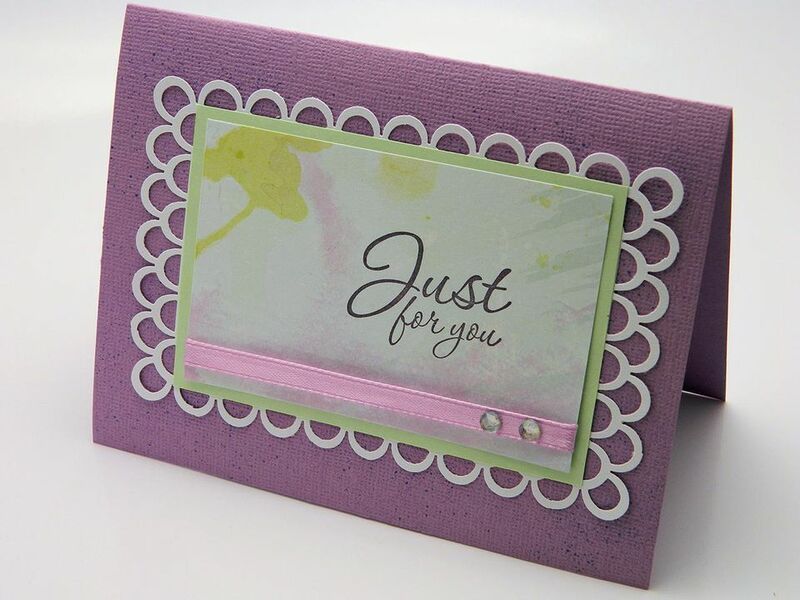 See How to Add Sentiments to Greeting Cards for more information. The right word or sentiment can really help to make a greeting card that little bit extra special. If you can't think of the right thing to write then why not try writing a memory in the card. For example, if it is the birthday of an old friend who you don't see so much of now, a shared memory from your childhood could make a nice and thoughtful addition to the card. Likewise, if you are giving a card to someone you know very well and exchange cards with regularly, why not just add a few words about what you are currently doing. The old adage 'it's the thought that counts' is particularly relevant with greeting cards, whatever the occasion, and showing someone you care with a few well-chosen words can make a world of difference. Add these sentiments and greetings to make the perfect finishing touch to your handmade cards. You could also add them to scrapbook pages to add a personal touch.